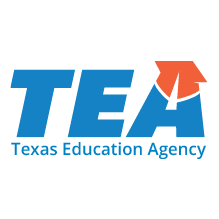 EAST TEXAS – The newest rendition of the Texas Education Agency’s (TEA) accountability rating system was released on Wednesday, Aug. 15. This is the first year an A-F rating scale has been used publicly by the districts and the report card for Houston County showed the oldest county in Texas with a B, two Cs and two Ds. According to the TEA, districts received a grade or rating based on performance in three areas. “Seventy percent of the accountability rating is based on the better of Student Achievement or Student Progress (whichever is better is the only performance measure counted in the calculations). The remaining 30 percent is based on performance in the Closing the Gaps area,” the TEA website stated. Lovelady ISD led the way in Houston County with an overall rating of a B and an overall score of 89. In student achievement, LISD scored an 89. In school progress LISD scored an 83 and in the closing the gap area, LISD tallied an 88. “With the new A-F accountability system being put into place this year we were pleased our overall district rating was a “B” with a score of 89 being only on point from achieving an A,” LISD Superintendent Wendy Tullos said. Tullos explained the district strives for excellence in all areas, but stressed LISD will not rest on its laurels and will continue to set – as well as – attain lofty goals. “I would like to state that although ratings are required and we are pleased but not satisfied with our ratings, what educators do on a daily basis is much more than a single letter grade,” she asserted. Latexo ISD had an overall rating of a C and an overall score of 79. In student achievement, LISD scored a 79. In school progress LISD scored an 82 and in the closing the gap area, LISD tallied a 72. She said her belief is with the improvements in programs and in professional development, the district will continue onward and upward. “Our high school really knocked the top off of the STARR and received two Distinctions in Math and Post- Secondary Readiness. Our elementary received one Distinction in Academic Growth which shows we are heading in the right direction. Overall Latexo ISD is excited to announce we are a competitive academic district and is looking forward to next year as we move toward the A!” the LISD superintendent said. Crockett ISD had an overall rating of a C and an overall score of 74. In student achievement, CISD scored a 68. In school progress CISD scored a 79 and in the closing the gap area, CISD tallied a 63. Myers said it appeared the district fared okay under the new A-F system. “Overall, we did pretty well. If you look at the individual scores – in both the district and the campus there are some areas we need to work on. For example, on campus we will do well on school improvement and on another we won’t,” he said. Kennard ISD had an overall rating of a D and an overall score of 65. In student achievement, KISD scored a 64. In school progress KISD scored a 70 and in the closing the gap area, KISD tallied a 53. “Let me say, the new A through F labels will not automatically change student performance in the schools,” KISD Superintendent Malinda Lindsey said. “These labels don’t tell educators, parents or members of the community little or anything new or useful for our staff to improve student performance,” she said. Grapeland ISD had an overall rating of a D and an overall score of 63. In student achievement, GISD scored a 72. In school progress GISD scored a 73 and in the closing the gap area, GISD tallied a 38. Jackson commented this is a starting point because he now knows where the district stands – according to the state – gives him the opportunity to find out exactly where the deficiencies are so that he can assess and address the issues. There were 742 school districts and 87 charter operators which were rated using the A-F scale. Of the 742 districts: 121 received an A Rating; 334 received a B; 232 received a C; 46 received a D; and 9 received an F.
Of the 87 charter operators: 32 received an A Rating; 22 received a B; 15 received a C; 11 received a D; and 7 received an F.
Previous articleWhat’s Next for the CEIDC? Next articleBrother, Can you Spare a Dime?